It was once again a pleasure to be invited to the Golf Foundation Awards to celebrate the fantastic people at the heart of junior golf. The awards were held in the newly refurbished ballroom at the Wentworth Club on the day before the BMW PGA Championship. Encouraging young people to 'Start, Learn and Stay' in golf is at the core of activities undertaken by the Golf Foundation with an emphasis on helping young people learn 'Skills for Life' as they develop both on and off the course. The event was hosted by Golf Foundation Chairman Stephen Lewis and Chief Executive Brendon Pyle but teed off with Golf Foundation young ambassadors Emma Anderson and Ali Jodiyawalla supported by the wonderful Windsor Academy Trust Choir from Halesowen. 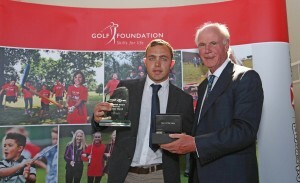 The 10 awards were presented by the charity's current President, Sandy Jones former head of the PGA. Amongst the awards were two that are of particular interest to ETIQUS. Presented to a PGA Professional who, as a direct result of his/her efforts, had made a significant impact in the development of grass roots junior golf. 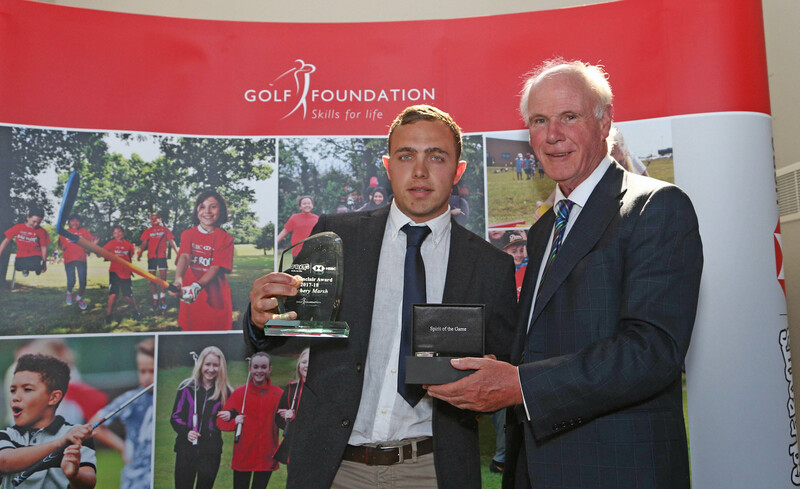 This year's winner was Zachery Marsh, from the Mark Janes Golf Academy at Tonbridge Golf Centre in Kent, for introducing hundreds of young people to Golf. Presented to an individual who has demonstrated meritorious service to junior golf for a sustained period. The winner of this award received a grant kindly provided by the Stanley Morrison Trust. The winner was Barry Chapman the Junior Organiser at Woodhall Spa Golf Club who has encouraged and supported youngsters in the game for over 29 years. Both Zachery and Barry were also presented with an ETIQUS Golf Timepiece in recognition of their achievements and support of the next generation of golfers. I'm very proud that ETIQUS has now raised over £25,000 in support of the Golf Foundation and I congratulate all of the winners on their commitment to junior golf.